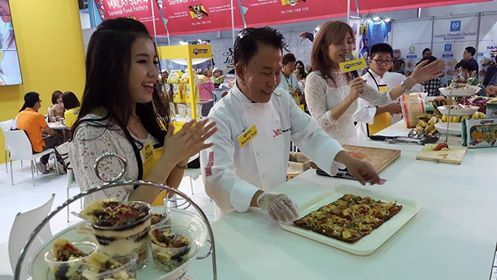 The interest in Martin Yan was rekindled with the latest installment of Yan Can Cook: Taste of Malaysia in 2015. The 26-episode programme saw him travelling to different parts of the country introducing unique cuisines and showing the versatility of palm cooking oil in Malaysia’s cuisines. The Malaysian Palm Oil Council (MPOC) was one of the sponsors. In the Yan Can Cook: Taste of Malaysia – Malacca programme, the two Martins – chef Martin Yan and Julie’s Biscuits Director Martin Ang met in Malacca. The chance encounter was sponsored by none other than by Perfect Food Manufacturing (M) Sdn Bhd, the maker of Julie’s biscuits. 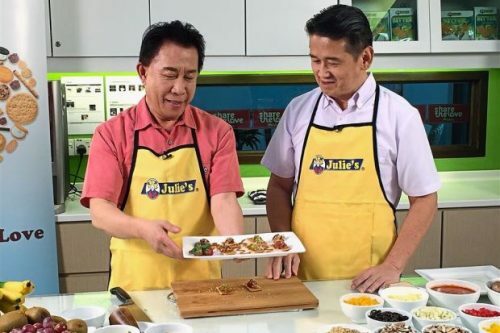 Martin Yan has since become the brand ambassador for Julie’s. Image above from The Star. 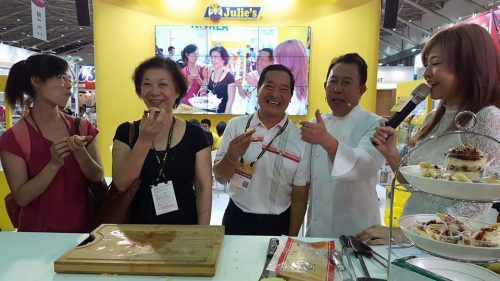 Martin Yan has been very busy attending Julie’s trade shows as brand ambassador. He was in Shanghai for SIAL China 2017 (中食展), in Bangkok during Thaifex 2017 and in Taipei gracing Julie’s booth at the Taipei International Food Show (2017台北國際食品展). All three international food expos were held within a space of two months – May-June 2017. The key purpose of having Martin Yan at Julie’s event is to personally introduce consumers to Julie’s gourmet creation. 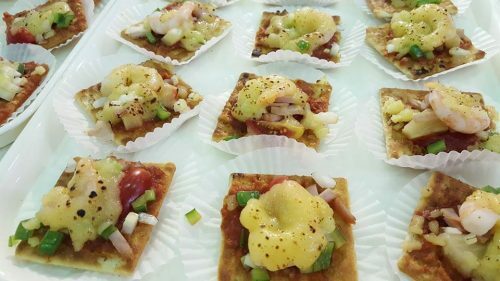 The mouth-watering creations including mini pizzas and capanes are made using Julie’s crackers. Hopefully, such unique creations would attract new consumers or introduce a new way of eating to existing customers. 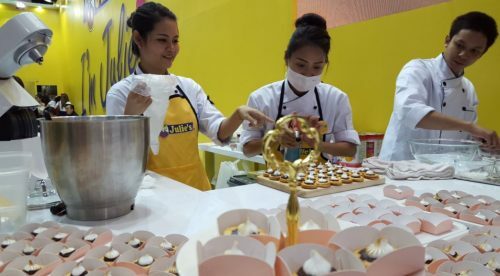 Julie’s canapes at Thaifex 2017 (Image above). The canapes were made with Julie’s Peanut Butter Sandwich. The picture was taken by the author. Julie’s have a dedicated section on its official website under Julie’s Recipes. The recipes look easy but how many people would actually try them at home? Moreover, the younger generation do not recognise Martin Yan, let alone his signature catchphrase. 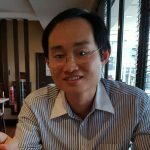 Consumers in China and Thailand may not even know him. Perhaps the marketing budget would be better spent on young celebrity chef like Olivia (邱韻文) and Titan (張秋永) in Taiwan to target younger generation of biscuit eaters. Nevertheless, I would like to say a big thank you Julie’s for bringing Martin Yan over and giving me the opportunity to have a selfie with him at Thaifex 2017. *All the photos were taken by the author at Food Taipei 2017 2017台北國際食品展 except for the first one taken from The Star.